For last four years or more, I have been an avid blogger. No, that doesn’t mean I have my blog up to date always (my last update on my primary blog of WordPress was done on October 27) but, more like I love creating blogs and expressing myself all over them. That’s why I have around more than five blogs in different platforms. But before all those blogging, I was journaling. With notebooks collected from Kaka, Fufu and Baa, I would write all my thoughts and scribble my names all over them. I still do lots of jotting down my thoughts and ideas on notebooks at first. I carry around 4 notebooks at a time since each of those notebooks have specific purpose. And man they are messy. So for my first project post on The Semicolon Diaries, I realized, I should probably do a how to on journaling. 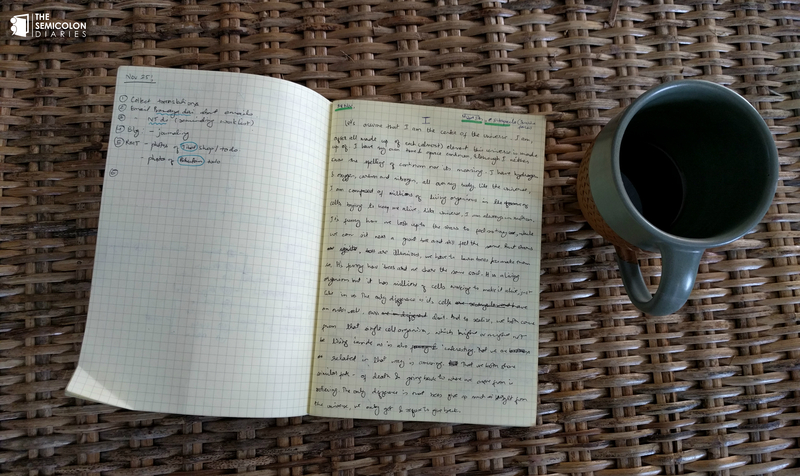 Journaling, I believe, is the first step to blogging or even a journey to being a writer. So here’s some tips on journaling, although I must say beforehand that I am not an expert. It’s very important to choose a right notebook before starting a journal. And it all depends on your preferences. At one point, I loved big thick spiral notebooks that my friends used for class notes. 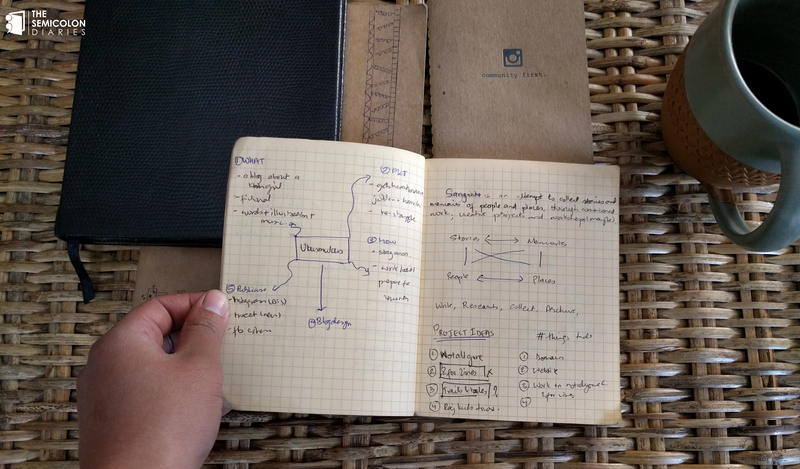 But currently I admire notebooks and journals from Bhav, a Nepali stationery brand. They have notebooks with choices in size, covers and pages. I also like that they are light and practical. So choose a notebook that defines you. Also keep in mind that they are bit sturdy, light and don’t get torn easily. I usually like mixing blue and black ink in my notebook. Color pens are helpful especially if you are doing bullet journals and you want to highlight captions, titles, quotes, or important details. Or you can just use colors to make your journals colorful. A hint of colors also make your doodle amazing by the way. I sometimes forget to write dates and when I look back into my notebooks, I don’t remember when I wrote them and why. Journals are one of the best ways to preserve your memory and jotting the dates help you to retrieve them. You can also mention places where you were scribbling. I do that a lot when I go for a trip so I can remember what happened during the trip. I come across many journals that are neat, clean and perfect. They have the perfect doodle and neat handwriting. If you search journals in Pinterest or Instagram, you will find many clean journals with colorful bullet points and no rough work. For many years till recently, I had been trying hard to get my journals to look perfectly clean like those. I would tear pages or stitch them if one of the pages have few mistakes on them. But now, I am trying to accept those flaws and just learn how to work through them. And my god, it’s hard. Notebooks are basically to doodle and scribble. Write down your thoughts, make some doodle around it or not, it’s your call. From a reflection, to plot of your next story and from one sentence that’s been haunting your mind to a quote you really like, jot it down in your notebook to prevent it from getting forgotten. Whether you want to start keeping a journal as a way to record your story or give it a try as a step for bigger platform, journaling does help us to reflect and express as creatively as we can. I hope these five steps are helpful for you to begin your own journaling adventures, starting now.